Executive Leadership — Assembled Products, Inc.
We ship quality parts on time! Adding value and solving your problems is our goal; building relationships is our motivation. Ed McIlhon got his start in the fastener industry at the age of 14. He loves to tell the story about how his father, Dan McIlhon, taught him a great lesson by having him separate some rusty old nuts and bolts. Dan sent those piles to be cleaned, plated and returned as shiny new fasteners. That education not only secured Ed’s lifelong commitment to the fastener industry, but crafted his philosophy that he can make anything work. Ed continued to learn from his Dad and was officially hired on as an outside sales associate during his junior year of college in Cedar Falls, Iowa. Ed stayed in Cedar Falls and shortly after graduation, he expanded his dad’s fastener distribution company, Iowa Industrial Products (IIP). He secured an order from John Deere and spent the next 35 years learning to integrate their business into those of their customers. As general manager and then president, he took IIP from a $3 million company in 1986 to a $56 million company in 1998. Along the way, Ed played an integral role in negotiating a functional version of the Fastener Quality Act serving as Co-Chairman of the Public Law Task Force and testifying before Congress on behalf of the industry. Additionally, he served as president of the National Fastener Distributor Association in 1995. His success with IIP led to the sale of the Company to Bossard in 1999. Ed served as president of Bossard Industrial Products until 2005 when he purchased their Kits and Bundling unit. He took that unit and created what is today Assembled Products, Inc. It appears Ed’s success rate will continue as API’s current customers are already acknowledging the Company’s industry excellence. 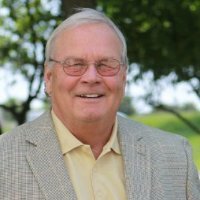 Ed graduated from the University of Northern Iowa in 1972 with a BA in Business. He now resides in Des Moines, Iowa with his wife, Joey. Together, they are actively involved in supporting several organizations in the community including Holy Family School, St. Boniface Catholic Church, Project 52, and The Andrew Giving Fund. They spend much of their free time fishing and relaxing near the waters of Canada, Clear Lake and Florida. Ed’s other hobbies include golf, walking, and spoiling any one of his nine grandchildren. Ed can always be contacted at (515) 278-7030 or emcilhon@assembledproducts.net. Matt Ulrich brings a breadth of knowledge and experience to Assembled Products, Inc. He began his career in accounting with McGladery & Pullen in Davenport, Iowa. Matt had the opportunity to work with a diverse client roster in the Banking, Health Care and Distribution industries. After getting his feet wet in the “real world,” Matt jumped at an opportunity to travel, making it to 46 countries in one year. His international perspective led him to a nine-year stint with Qwest Communications in Denver, Colorado. He saw the Company grow from 3,000 employees to 60,000 and assisted in a behind-the-scenes role with their US West acquisition. In 2004, Matt returned to the Midwest, yet built upon his international interest by taking a Special Projects Manager position with Swiss-owned Bossard. He served as the liaison between the Cedar Falls unit and the parent company in Zug, Switzerland. His final project with Bossard entailed auditing the Company’s Kits & Bundles unit. His inside experience with Kits & Bundles made him an ideal candidate for a leadership role with API. Matt is now a past-president of the National Fastener Distributor Association after serving on the Board of Directors as both vice president and president. Matt graduated from the University of Northern Iowa with a BA in Accounting in 1995. He lives in Des Moines, Iowa with his wife, Kellie, and their four children, Natalie, Melanie, Andrew and Aaron. Matt is an active member of the philanthropic community, currently serving on the board of Project 52 and The Andrew Giving Fund. In his free time, he enjoys coaching his kids' sporting teams, and tries to get in as much golf, skiing and fishing as he can. He is also an avid baseball fan and supports the St. Louis Cardinals. You can contact Matt at (515) 278-7030 or mulrich@assembledproducts.net. Casey McIlhon is a third generation nuts and bolts guy. Following in his father’s footsteps, Casey jumped into the fastener industry at the age of 13 doing inventory for Iowa Industrial Products. He soaked up as much as he could about the logistics of the warehouse before moving into the inside sales arena. He took his first position on the sales side as an inside salesperson with Bossard Metrics. While with Bossard, he moved into roles including Outside Sales, Regional Sales Manager and Director of Sales. After 12 years with Bossard Metrics, Casey caught some of his grandfather’s entrepreneurial spirit and launched his own sales agency, McIlhon & Associates, Inc. He represented industry leaders including GL Huyett, Big Bolt and Bossard Metrics. His industry knowledge and customer-centric business model made him a perfect fit to provide sales representation to Assembled Products. 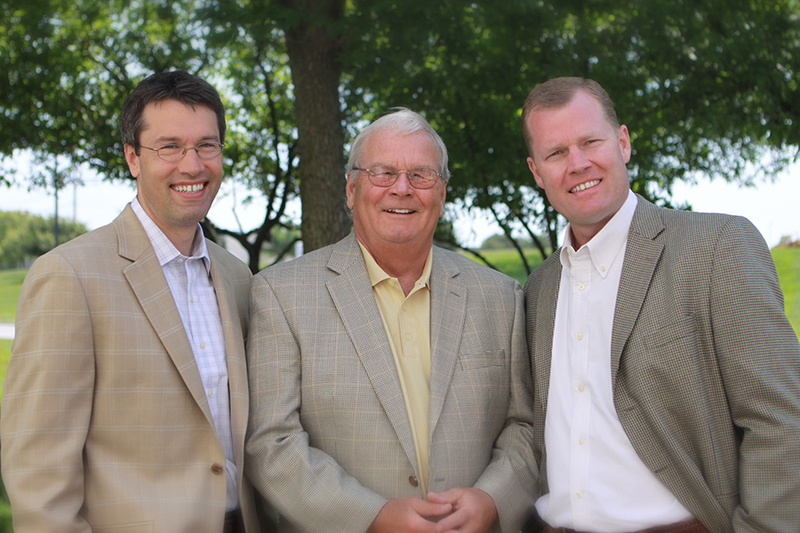 Casey covered the mid-west territory for API and played an integral role in building the company to its current success. In 2012, Casey accepted a leadership position at API and now serves as their Executive Vice President of Sales. In his new role, Casey oversees the sales team in Urbandale as well as the distribution center in Palatine, Il. 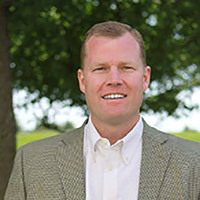 Keeping API active in the National Fastener Distributor Association’s community, he recently accepted a position to serve on their Board of Directors. Casey graduated from the University of Iowa with a BS in Business Administration in 1994. It was there that he met his wife, Stacie. They currently live in Palatine, Illinois with their three kids, Ryan, Kiera and Luke. Casey is an avid Notre Dame and Iowa Hawkeye football fan. He also enjoys golf, skiing, fishing and coaching his kids’ baseball teams. Casey can be reached at (630) 462-5635 or cmcilhon@assembledproducts.net.